Originally from suburban Philadelphia, Lieutenant Jeff Baxter has been with the Atlanta Police Department (APD) since 1997. After winning the Physical Fitness Award for his police academy class, he selected the Zone 2 Precinct (Buckhead) as his patrol area. While a patrolman in Zone 2, he started working the Neighborhood Security Patrols for retired Sgt. Barry Miller and has been working in the neighborhoods ever since, and took over two years ago managing several off duty APD neighborhood patrols from retired Sergeant Barry Miller. After getting promoted to Sergeant he worked in the Zone 3 Precinct South East Atlanta, and then worked for two years in the APD Homeland Security unit, where he still retains his contacts and active networking. After his promotion to Lieutenant, he was assigned to the Zone 1 precinct North West Atlanta. In 2012, he was tapped to create a new unit within APD to provide public safety for the Atlanta Beltline which is his current assignment for APD. Lt. Baxter has his Bachelor's degree from Georgia State University in Criminal Justice, and his Masters of Public Administration from Columbus State University. He's also a certified police instructor and served 10 years as a military policeman in the United States Marine Corps Reserve. Lt. Baxter is married and has two children. Sergeant Paul Poole began his career in with the Detroit Police Department 1977. He came to the Atlanta Police in 1981 where he was assigned as a patrol officer and retired as a motors supervisor in 2012. When he is not at work, Paul enjoys spending time with family, weight lifting, traveling and collecting sports memorabilia. Sergeant Jason Smith began his career in law enforcement with the Willoughby Hills Police Department in Ohio in 2002. In 2004 Jason moved to Atlanta and began working for the APD. 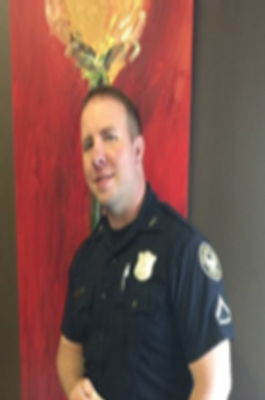 After completing the Atlanta Police Training Academy, Jason was assigned to the Zone 3 precinct as a patrol officer. Along with responding to 911 calls, Jason also worked as a detective. In 2012 Jason was promoted to sergeant and is currently assigned to the Narcotics unit. When not at work, Jason enjoys attending sporting events and watching movies. Jason has worked for the Neighborhood Patrol since 2009. Officer Katie Rambler joined the Atlanta Police Department in 2008. After completing the Atlanta Police Training Academy she was assigned to Zone 6, initially assigned as a patrol officer responding to 911 calls. She was then assigned to the APEX unit, working with multiple Federal task forces to prosecute violent repeat offenders. Katie is now assigned to the Atlanta Police Academy as a class coordinator and instructor for Atlanta Police recruits. When she is not at work, she enjoys spending time with family, camping, and traveling. Detective Justin Andresen began his career in law enforcement in 2002 with the Atlanta Police Department. After completing the Atlanta Police Training Academy he was assigned to Zone 1 where he was a patrol officer, responding to 911 calls. Justin was then assigned to the Police Academy as an Instructor. He was later promoted to Detective and assigned to the Narcotics Unit. Justin was then assigned to a multi jurisdiction drug task force with the Georgia Bureau of Investigations. Justin is currently assigned at the Atlanta Police Training Academy as an Instructor. When he is not at work, Justin enjoys spending time with his wife and children, fishing, golfing, and coaching youth sports. Justin has worked for the Neighborhood Patrol since 2003. Officer Robert Spratling began his career with APD in 1980. Prior to joining APD Officer Spratling served in the US Marine Corps during the Viet Nam war from 1968-72 and then served in the US Navy From 1972-1974. As an Atlanta Police Officer Spratling has worked in several different assignments including the Airport, Zone 3, and Zone 4 then spent most of his career on APD’s Motor Cycle unit. Officer Spratling enjoys spending time with his 2 children and 3 grandchildren, playing golf and traveling.